May Day Cooking for the VCU Living Wage Campaign- Food Not Bombs Solidarity! 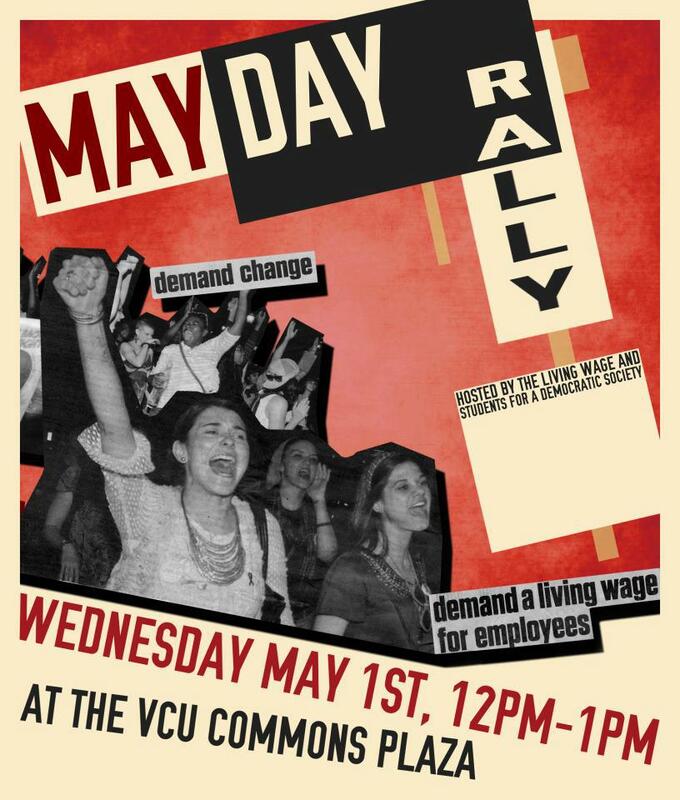 Join Richmond Food Not Bombs to help cook for the May Day Living Wage at VCU Rally. Much of the prep work will take place before the cooking period; don’t be alarmed by the short period of time. Food Not Bombs is making rice, chili, and green salad to serve after the VCU Living Wage Campaign’s May Day rally for a living wage. The cooking will take place at Kat McNeal’s house, near the Lombardy Kroger. If you become lost, call Kat at 703-859-0393. We need extra hands primarily for loading the vehicles, some vehicles to load, and some people who feel comfortable lifting heavy pots of hot food. We will serve at 1pm, at Monroe Park. We also need a volunteer to print handbills for FNB, to provide to diners who may not have heard of us. Dinosawh Show August 8th at 7pm!! will be playing the Wingnut Anarchist Collective on Thursday August 8th at 7pm! This is a sober, all ages show! 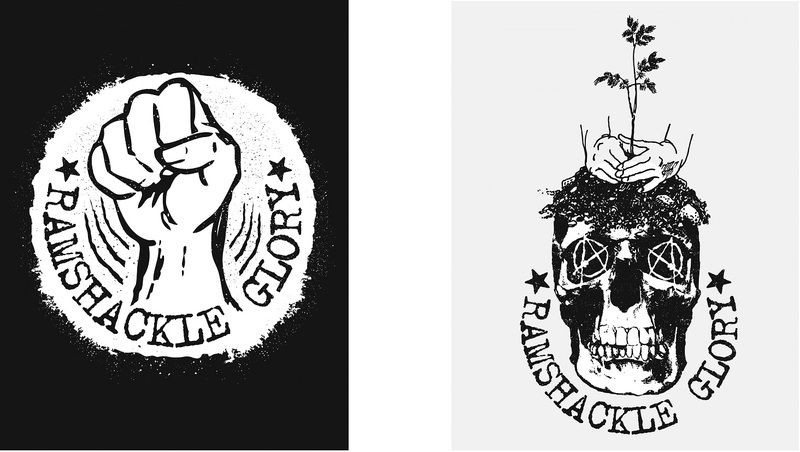 Please bring money to donate to the touring band and buy merch. Still looking for local acts to open, get in touch if you are interested! May Day is a day to celebrate the victories of the working-class in their struggles against exploitation and oppression throughout history. 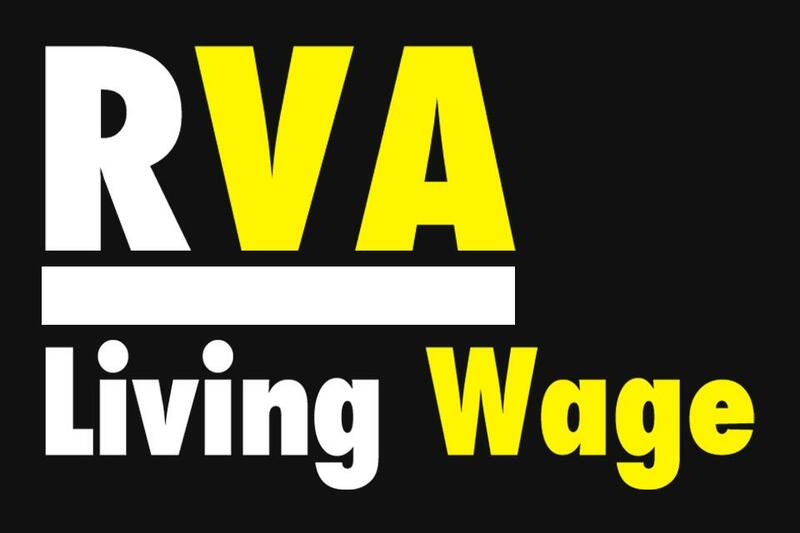 Join the Living Wage Campaign and its allies on May Day, International Workers’ Day, as we rally for a living wage for service workers at VCU. The average VCU service employee, especially those working through Aramark, rarely receives a pay raise. Many VCU employees must hold more than one job just to make ends meet. At the same time, many adjunct professors also do not make a livable salary and have no insurance or job security. It is our tuition money that funds VCU, and we have every right to be outraged. The mistreatment of workers and the misplaced priorities of VCU come at the expense of the students as well. The rally will start at noon in the Commons/Ram’s Plaza (where the big ram horns are). Richmond Food Not Bombs will be providing some food for folks at this rally as an act of solidarity. If you are able to, bring some money to donate to FNB, or bring a grocery item we use (oil, sugar, salt, flour, spices, pasta, rice) etc. You could also come help us cook any Sunday from 12:30 to 3:30 at 2005 Barton Avenue, come eat in the park every Sunday at 4pm at the corner of Main and Belvidere in Monroe Park, or come clean up after the meal at 2005 Barton Avenue. May Day Parade for Worker’s Rights and a Living Wage! Wednesday May 1st at 5pm! Wednesday May 1st at 5pm meet in Monroe Park, the parade will leave the park at 6pm. Bring signs, banners, flags, costumes, drums, instruments, medic bags, water, snacks etc. May 1st is International workers rights day and it is celebrated all around the world by people taking the day off work and gathering to to express their general grievances. For years in RVA we have had a rally and a parade to commemorate this holiday and for lack of planning this year it looks like there will be no official rally with speakers but we will still be doing the amazing parade! I would love it if as many of you beautiful People out there as possible could take the day off and come take part in the parade! Bring any kind of musical instrument you want because we will be making alot of noise! the larger the crowd for the parade the better it will be so please bring all your friends! We will need a lot of Bike marshals to help direct traffic so if you have a bike please bring it! Word on the screet is that No BS Brass will be leading the march along with Captain Captain! Through a series of humorous and poignant interviews conducted across the US and in Greece with “random people,” the documentarian’s family, and activists, Seeing through the Fence explores the role of food in modern society and our connection, or lack of connection, with both the processes and animals from which our food originates. The documentary asks the question: what prevents ethical principles from advancing into action? 7pm, all ages, sober, band has merch for sale. Possible vegan snacks too!